Tot el que vols saber sobre el lloguer d’una camper i no i no t’atreveixes a demanar-ho. També ens podeu trucar per veure si teniu alguna cosa que us pugui anar bé. Hi ha alguna restricció sobre qui pot llogar una camper? S’ha de tenir 23 anys com a mínim i tenir una experiència com a conductor de 2 anys o més. Podem sortir d'Espanya amb la camper? Les nostres campers estan assegurades per circular per la UE, Andorra, Suïssa i Sèrbia. Si esteu pensant en anar a un altre país, és possible que ho pogueu fer si teniu una Carta verda. Podeu consultar això en aquest mapa per estar segurs. Blau o taronja està bé… verd és possible, sempre i quan porteu la Carta verda. Si ens feu saber que necessiteu la carta verda, us la proporcionarem. Si teniu cap dubte, feu-nos un truc. Acceptem gossos de mida mitjana o petita en una de les nostres Weinsberg MQ sempre que el propietari es comprometi a no deixar pujar a l’animal als seients o als llits i a fer-se responsable de qualsevol desperfecte causat per l’animal. Si al tornar el vehicle, aquest necessités una neteja extra per treure els pèls o treure l’olor, se’ls descomptaria de la fiança a raó de 25 € per hora. Necessitaré una tarjeta de crèdit? Per motius d’assegurances hem d’utilizar una tarjeta de crèdit ( no una de dèbit) per realitzar la preautorització de 800€ com a fiança del lloguer. Will I need a an International Driving License (Permit)? If your driving license is from one of the countries on this list you do not need an International Driving License. If your driving license is not on the list you must be able to produce an International Driving License if stopped by the Spanish police. Regardless of whether you do or don’t need one, our advice would be to get one anyway. For the small cost it can save you a lot of bother. And if you never actually need to use it… better! La nostra experiència ens ha ensenyat que els tendals acaben portant més problemes que beneficis. Què hem de portar amb nosaltres? Les campers estan completament equipades amb l’excepció de tovalloles. L’espai en una camper és una mica limitat i, per tant, no hi ha el mateix que tenim a casa. Nosaltres creiem, però, que trobareu el mínim necessari. Això vol dir que hi ha roba de llit, coixíns, nòrdics ( a l’hivern), estris de cuina i les coses que necessiteu pel funcionament diari de la camper com: químic pel WC, cable elèctric, mànega d’aigua i bombona(s) de propà. To conclude, you should bring towels, clothing, food, toiletries, toilet paper, cleaning supplies, toys and gadgets. How do we get from Barcelona (airport) to Manresa by public transport? You can reach Manresa by public transport quite easily. There are 2 routes we’d recommend. Route 1) If you are travelling from the center of Barcelona catch the ‘R5’ train from Barcelona Plaza España with Manresa as its final destination. There are 2 trains per hour arriving in Manresa approximately 1hr 25mins later. Route 2) If you are travelling from the Barcelona Airport (El Prat) you should take the L77 bus from outside the terminals to Sant Boi FGC (train station). It’s a 10min journey. You will need ‘exact change’ for your ticket which you buy on the bus itself. A ticket is 2€. From Sant Boi catch the ‘R5’ train with Manresa as its final destination. There are 2 trains per hour arriving in Manresa approximately 1hr 5mins later. For both routes you can check the latest timetable here: https://www.fgc.cat/wp-content/uploads/2018/02/R5_Manresa_220x450_LA51_octubre_17_web.pdf . A single ticket is approximately 8€. Within Manresa there are 3 stops but you’d get off at the first one (Manresa Viladordis). 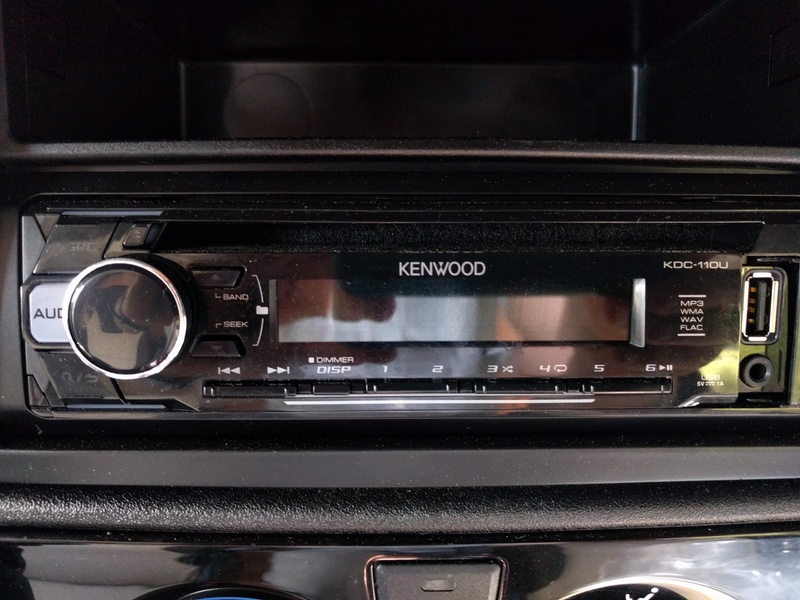 Is there a USB stereo connection? Can I plug in my laptop? Yes, but only if the campervan is connected to a mains electricity supply such as in a campsite but it could be any standard plug. In that case, you can use the plugs in the campervan for your small electrical devices (e.g. laptop, phone, cameras etc.). Larger appliances (e.g. a microwave) would likely blow the fuse at the campsite. When the campervan is not connected to a mains electricity supply, the plugs will not work so if you want to be able to charge small devices you should request one of our ‘power converters’ at the time of booking. This is a small gadget that plugs into the cigarette lighter at one end and your device at the other and charges off of the campervan’s engine battery. What happens to our insurance deposit of 800€ after our rental period? We will check the vehicle for damage not already noted on our damage inspection form as well as any T&C renter responsibilities not complied with such as emptying the toilet and filling the diesel. If there is anything to be charged we will take only this amount from your 800€ credit card pre-authorisation and the remainder will be unblocked on your account. If there is nothing to be charged the 800€ will be unblocked on your account. Please note that the amount of time taken to ‘unblock’ is down to the card type used and NOT CalCamper. IF you see that the expected amount has not been unblocked as expected please let us know so that we can check with our bank to understand why. We had a great time and want to let people know that CalCamper is awesome. What can we do? First of all, we’re really pleased and thank you for taking the time to help us out. Tell all your friends because word of mouth is best of all. Go to our Facebook page and /or Google and give us a review. Send us some photos from your adventure for us to share on our Facebook page.